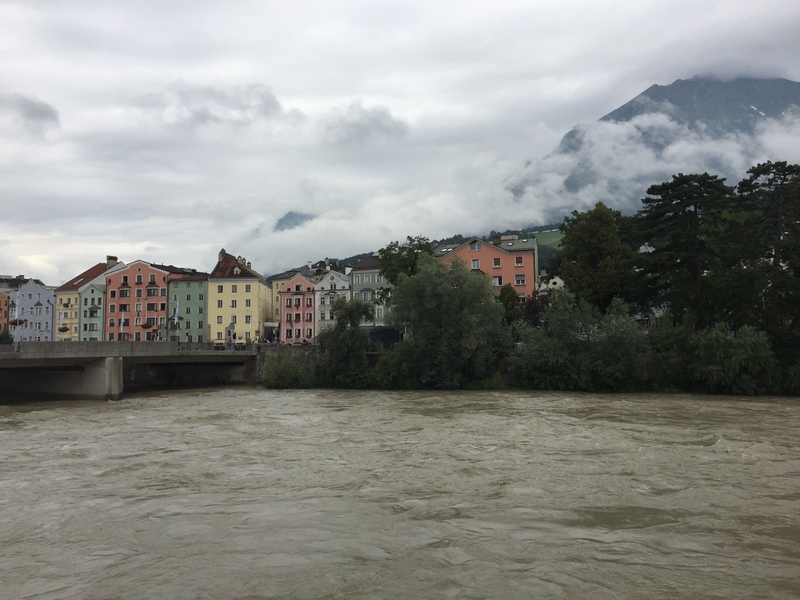 After leaving the Lake Garda region in Italy we headed into the mountain passes of northern Italy and onto Innsbruck in western Austria. Innsbruck is the largest city in western Austria and a city with plenty of historical significance in addition to being a top notch location for outdoor activities. 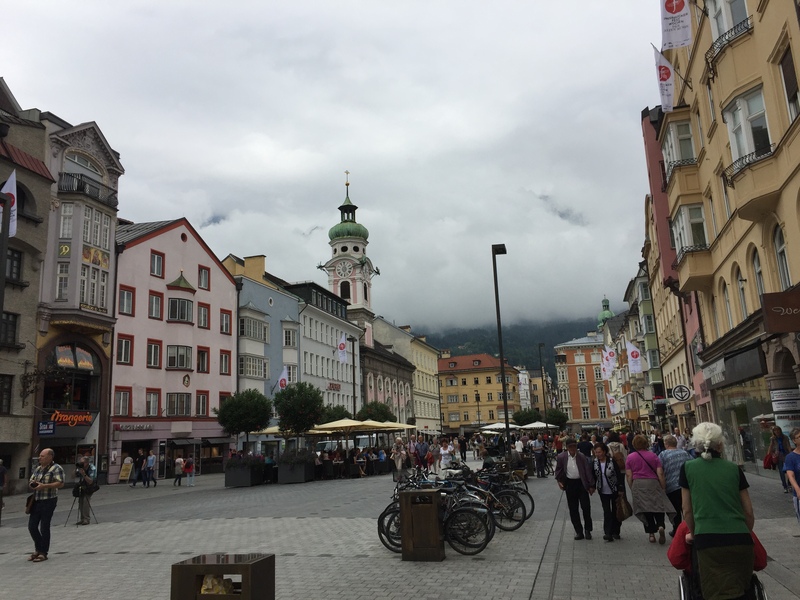 Our plan was to enjoy a couple of days enjoying both the city as well as the mountains in Innsbruck but unfortunately the weather didn’t really cooperate so we had to improvise a bit but we still had an awesome time. One of the main plaza streets in historic Innsbruck. The city itself is a mix of both historic buildings and modern touches making for a really fun experience. It was also nice to explore a place that was so different from what we saw in Italy, less than a couple of hours drive away. 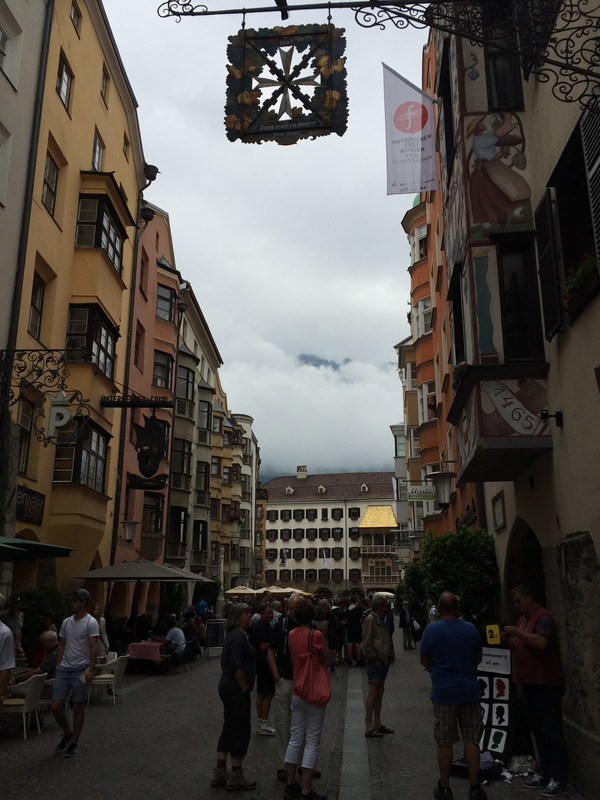 View of a side street in historic Innsbruck. Perhaps one of the most famous sites in Innsbruck is the Golden Roof, which is located in the old city. Completed in the year 1500 the roof was decorated with 2,738 fire-gilded copper tiles to mark the wedding of Emperor Maximilian I. The balcony was used by the emperor to observe various events and festivals which took place in the square below. In addition to historic sites the city of Innsbruck sits nestled in a beautiful valley surrounded by mountains and a river which flows through it. Normally the views from the city would be pretty breathtaking but with the crummy weather we didn’t really get too much in the way of views. Looking out over the river and towards the mountains that surround Innsbruck. 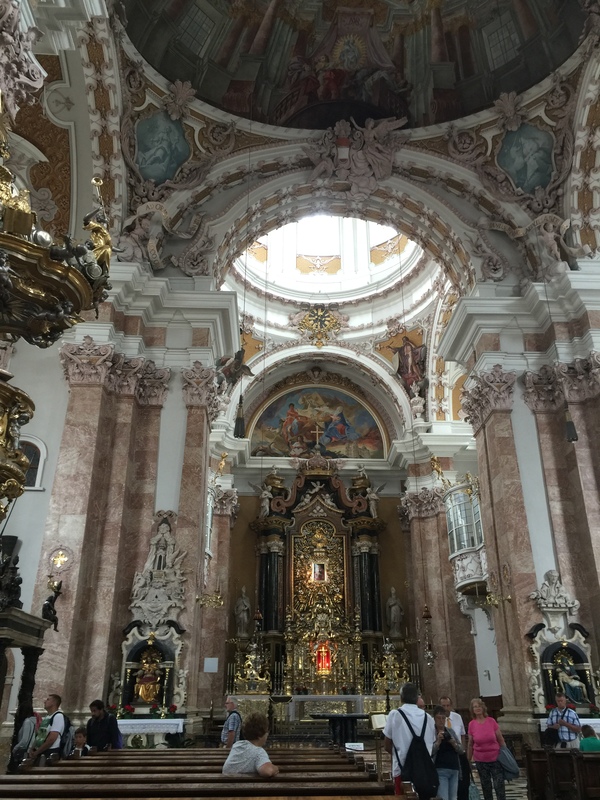 As with most cities in Europe there were several beautiful churches in the city of Innsbruck to explore. 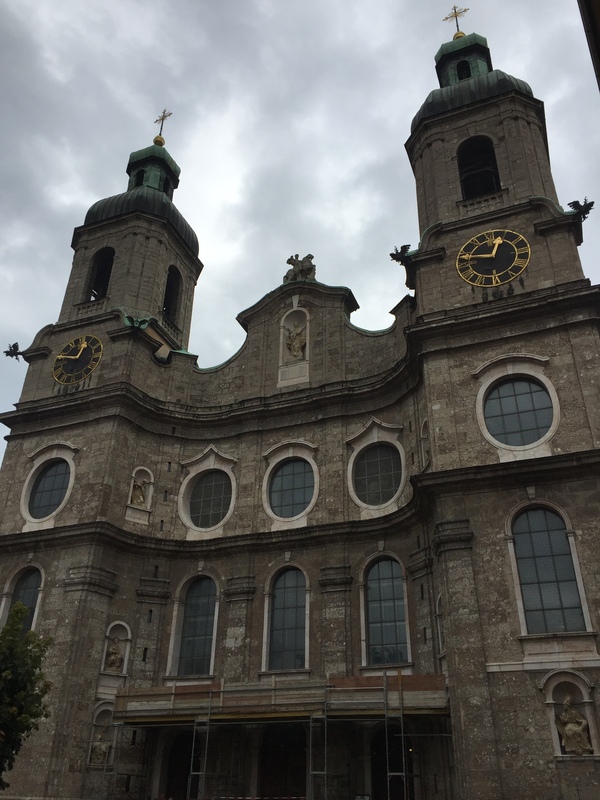 The Cathedral of St. James built in the 18th century is a Baroque cathedral of the Roman Catholic Diocese of Innsbruck. The cathedral was heavily damaged during WWII but was repaired soon after to the beautiful church you see today. 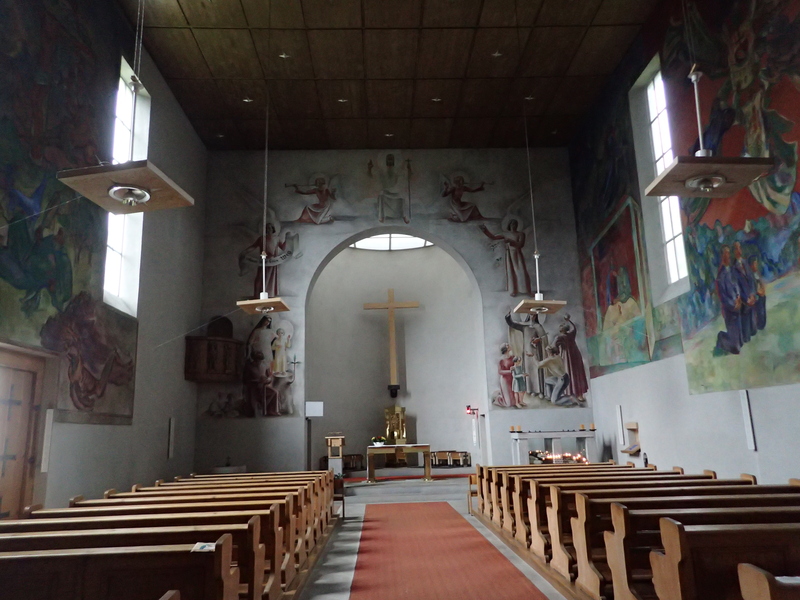 The inside of the church is quite beautiful with beautiful art everywhere you look and contains several important works of art. While walking around the city we did get a couple moments of beautiful weather but unfortunately they were short lived. One of the brief moments of sunshine we had during our visit. 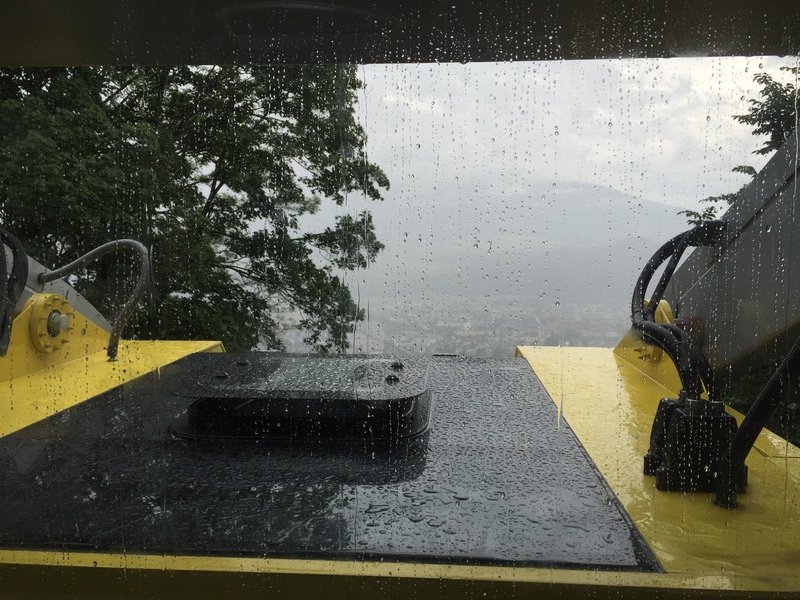 During our second day in the city we originally planned on doing some climbing in the area but due to the weather we decided to take the Nordkettenbahn cable car up towards Hafelekarspitze mountain at 7,657 ft in elevation. The cable car stops at multiple little villages along the side of the mountain before finally leaving you at the top of the ridge. 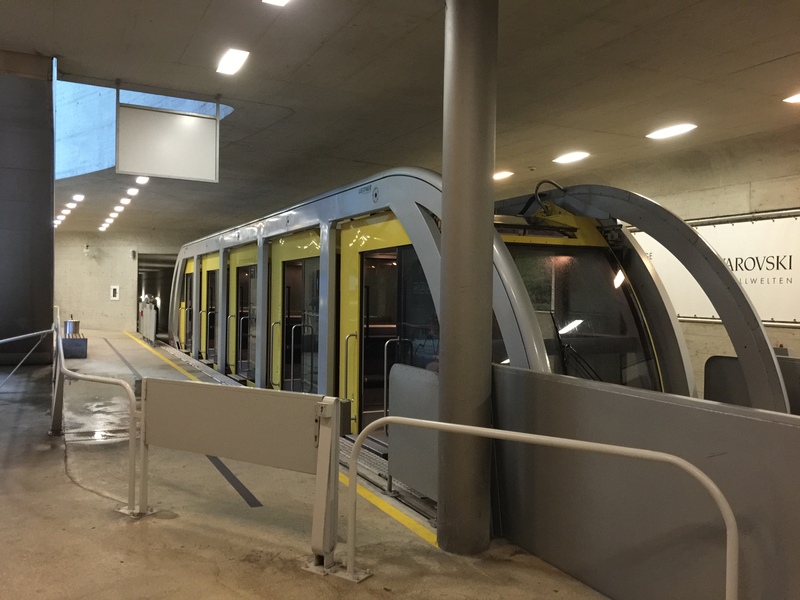 The Nordkettenbahn station in Innsbruck. The beautiful weather we had on our trip up the mountain. 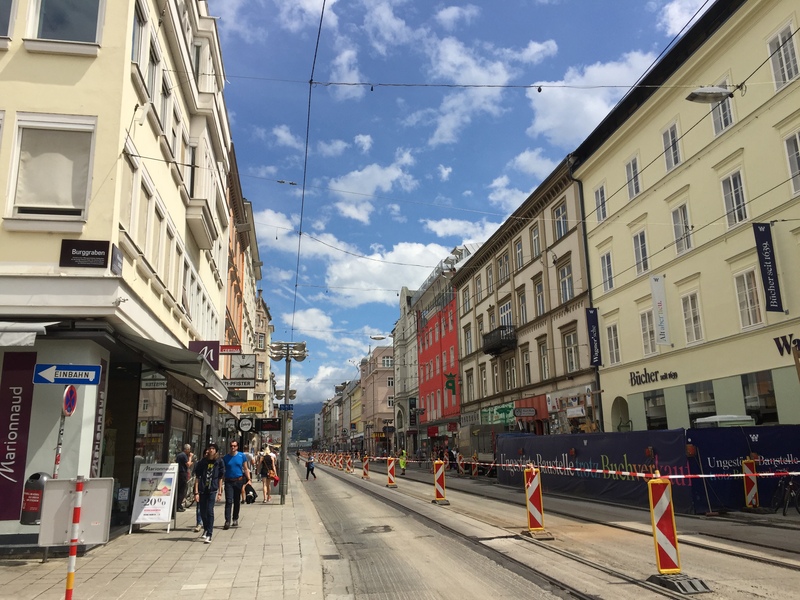 Along the cable car route is a stop at the Hungerburg district of Innsbruck. There isn’t much going on in this sleepy part of the city but there is one interesting landmark which is the Theresienkirche or Theresa’s Church which is a modern church built in the early 20th century. The church is decorated with lots of modern art and is an interesting change of pace from the classical churches we had been seeing throughout our trip. 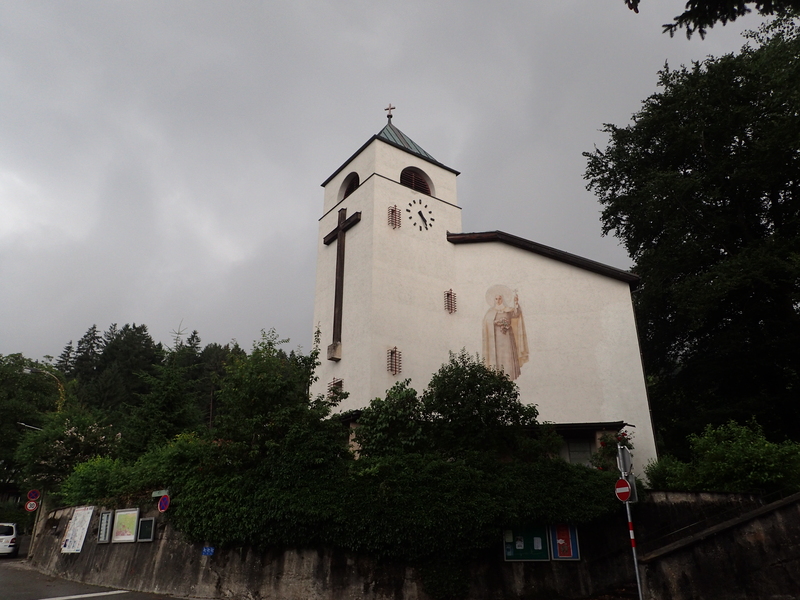 Outside of Theresa’s Church in Hungerburg, Innsbruck. Along the Nordkettenbahn you also have to switch to a different cable car after making the first trip from Innsbruck and up to Hungerburg. From here you are also able to get some nice views of Innsbruck in the valley below. 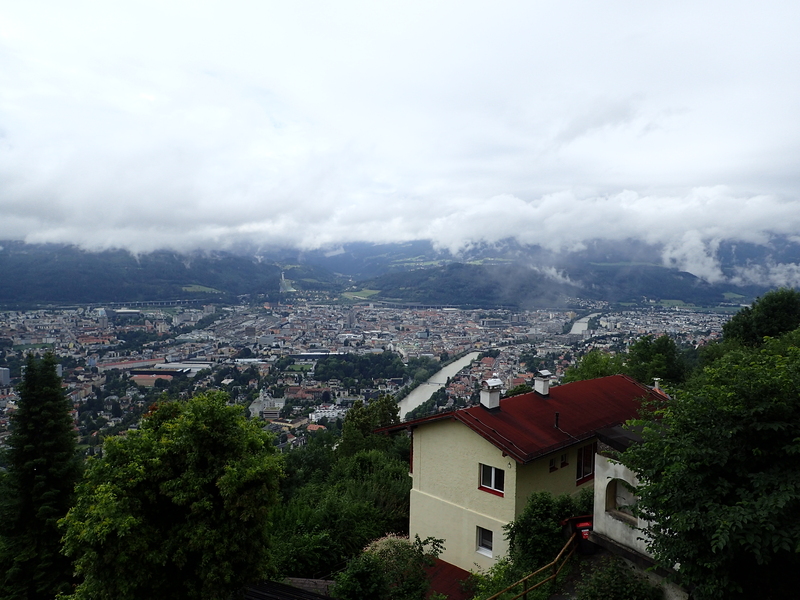 Looking out over the city of Innsbruck. The Nodkettenbahn ended at a small station on the ridge of the mountain which had a small restaurant along with other basic services. From here in the winter you can find plenty of ski trails down the mountain in addition to a large series of hiking trails which you can use to reach various peaks in the area. 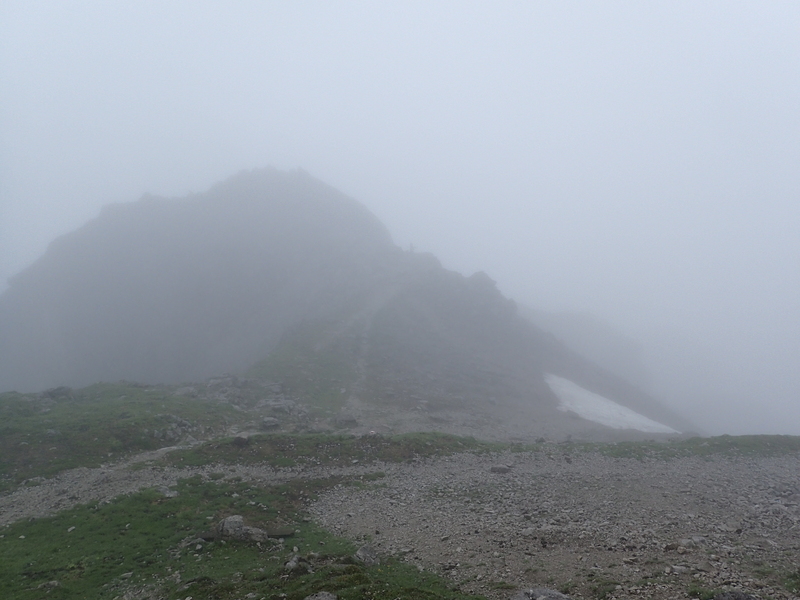 We originally planned to hike a few of these peaks but unfortunately due to weather we decided to only hike over to the summit of Hafelkarspitze at 7,657 ft which was an easy and short hike from the station. 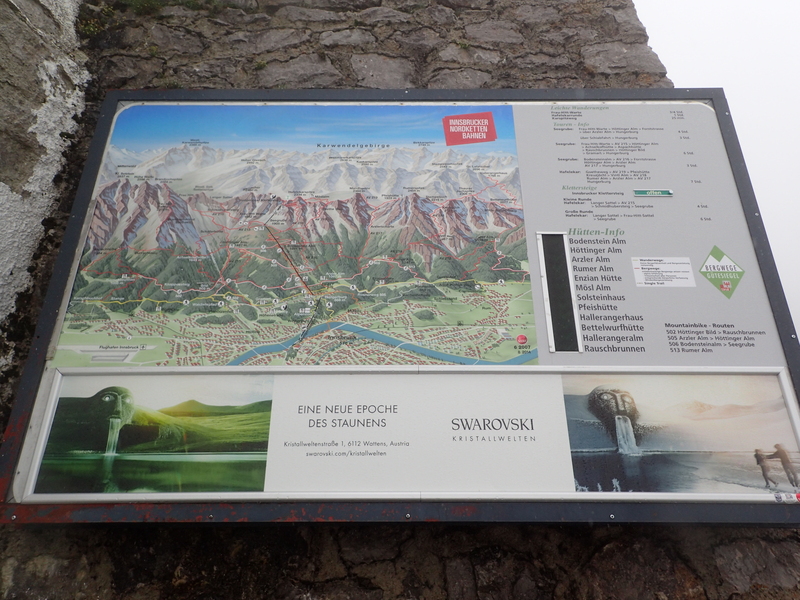 Sign showing all of the many ski trails down the mountains. View of the station on the top of the ridge. 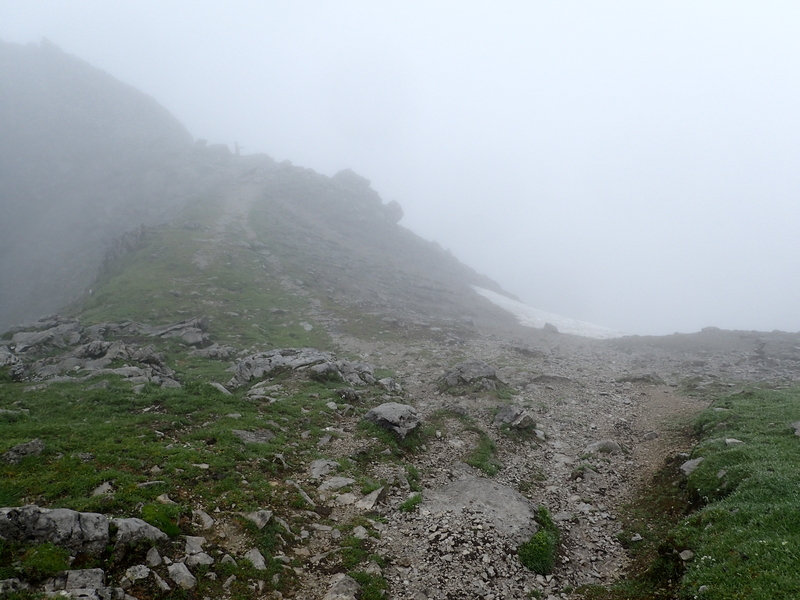 From here an easy to follow and well developed trail lead us to the summit of Hafelkarspitze. Looking out from near the summit. 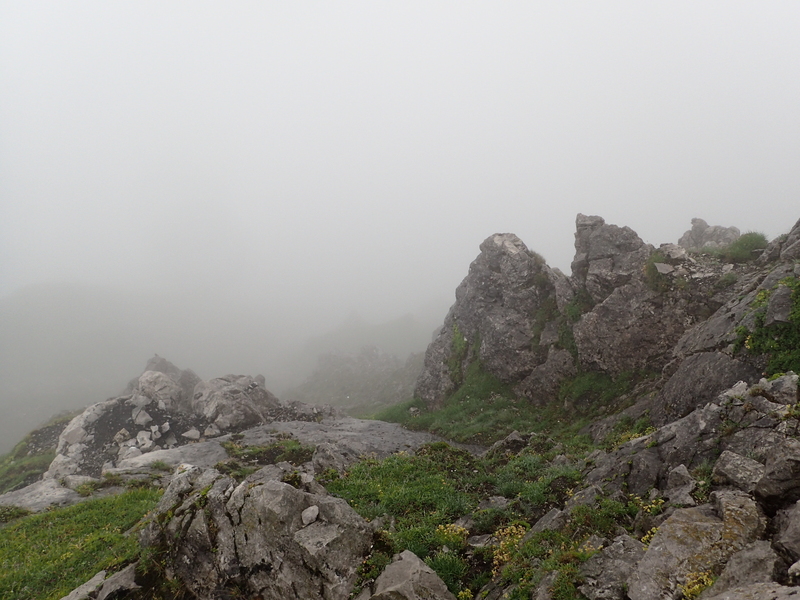 Looking out from the ridge near the summit of Hafelekarspitze. Amazing view from the summit. Looking out over the ridge. Snow on the side of the ridge. 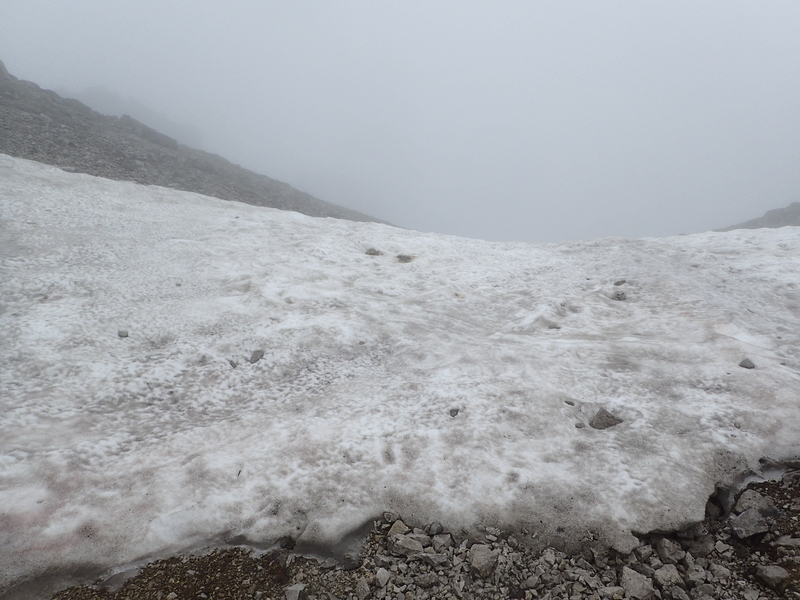 Despite some snow still sticking around near the summit there wasn’t much overall and the weather consisted of a chilly rain as opposed to snow fall, but it was still fun to see some snow after sweating to death in Rome a week earlier since it was still the beginning of July. 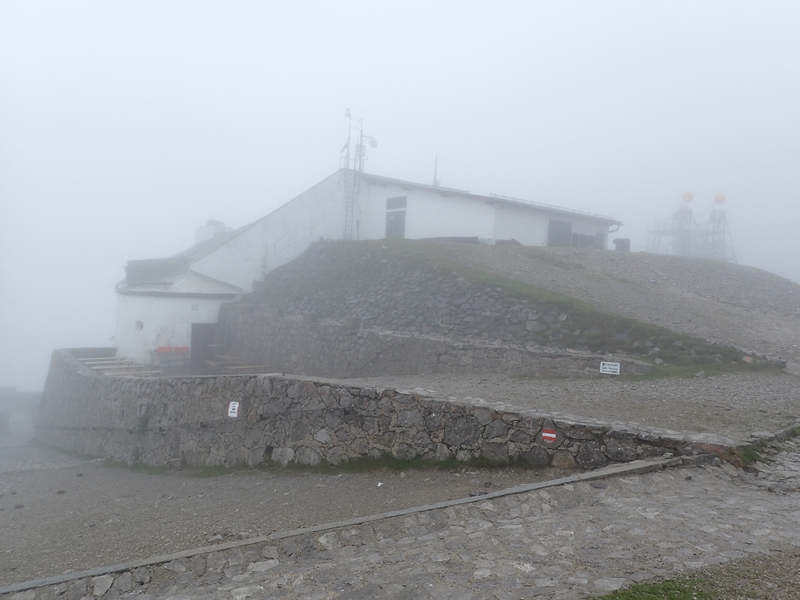 We didn’t stick around long on the summit before heading back down to Innsbruck below. 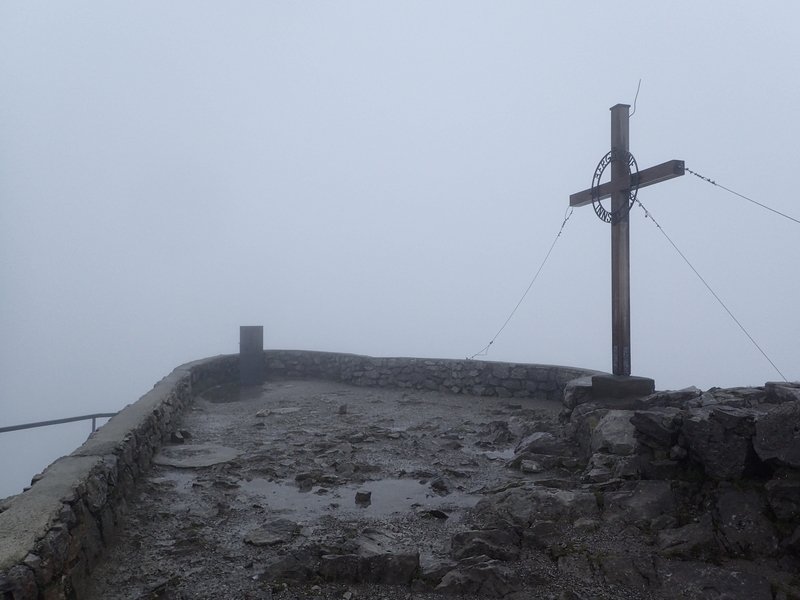 By the time we got back down to Innsbruck the rain had picked up steam so we decided to spend the rest of the day exploring some indoor sites in the city. 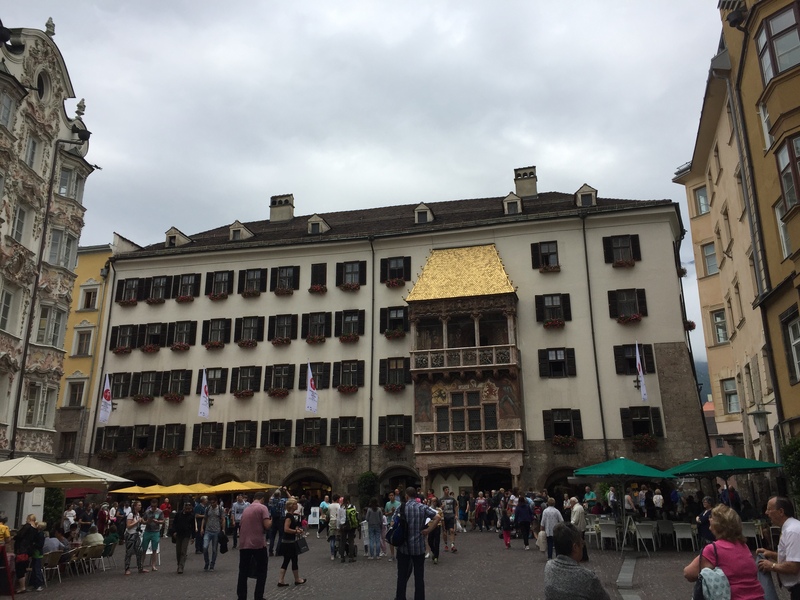 One site in particular we saw which was great was the Imperial Palace of Innsbruck but unfortunately they did not allow the taking of photos so all I can say is that it is certainly worth a visit. We also paid a visit to the Hofkirche which is a historically important gothic church near the Imperial Palace. 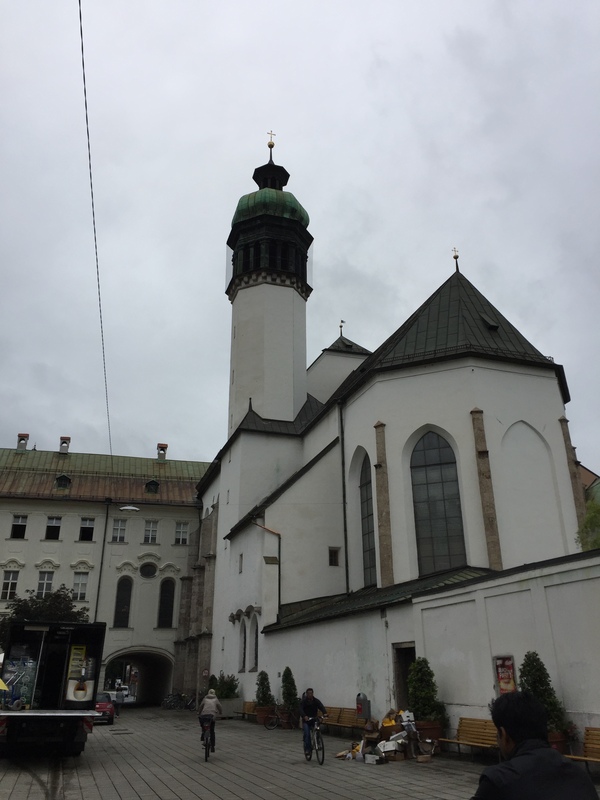 The Hofkirche was built in the 16th century as a memorial to Emperor Maximilian I. 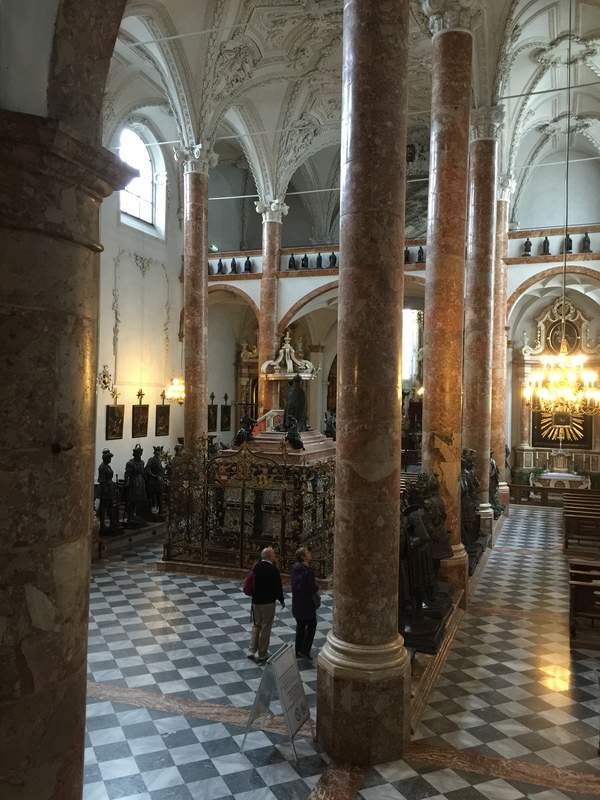 The center of the church is dominated by a cenotaph or empty tomb, as a memorial for Emperor Maximilian I, which is surrounded by many beautiful statues of historic figures such as Theodoric the Great, Frederick III, and Clovis I, among many others. I spent a long time admiring these statues as I found them pretty impressive and it was interesting to see who they decided to represent alongside Emperor Maximilian I.
Overview of the inside of the Horkirche. 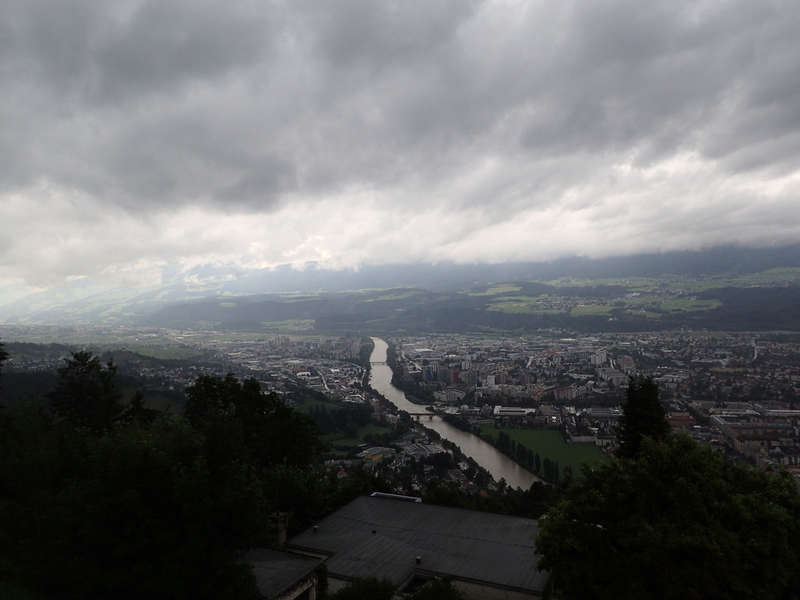 It was a shame that we didn’t get better weather while we were in Innsbruck but we still managed to have a great time. There is plenty to see both inside and outside the city so we never had a situation where we ran out of things to do. 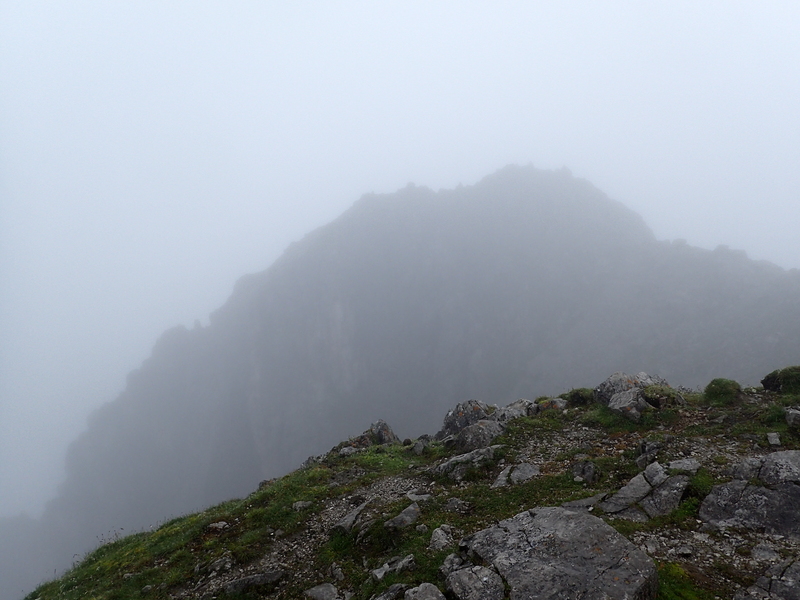 I hope to one day make it back to explore the mountains with more time and better weather.